Nearly a week after several Fortnite Funko Pop! toys were leaked on Instagram, the entire line has been revealed by Funko. Fourteen Funko Pop! toys and two Pocket Pop! keychains were announced as a part of the merchandise collection, with each toy featuring popular Fortnite outfits. While the likes of Skull Trooper, Brite Bomber, Black Knight, and Omega will certainly be some of the best-selling items, the other 10 will likely have a large audience, too. Moonwalker, Raptor, Tower Recon Specialist, Crackshot, Red-Nosed Raider, Codename E.L.F., Merry Marauder, Love Ranger, Highrise Assault Trooper, and Cuddle Team Leader are also being offered. The two keychains feature smaller versions of the Love Ranger and Cuddle Team Leader Pop! toys. The partnership between Funko and Epic Games to create a line of Fortnite toys was made public in July, with Funko saying the toys would be available for purchase by the holidays. Days after the announcement, Funko revealed the first Fortnite Pop! toy, Rex, at San Diego Comic-Con. Rex is not included in the Fortnite line listed on Funko’s website. 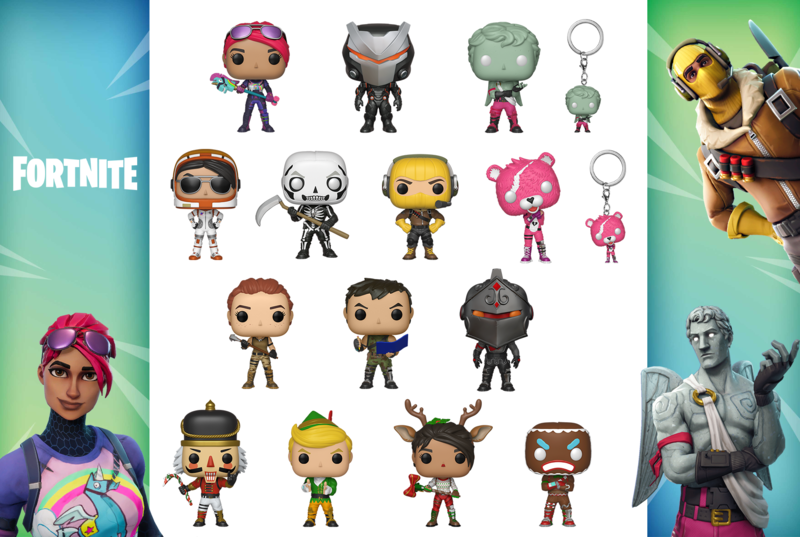 Earlier in the year, Funko also announced it would be rolling out an Overwatch line, featuring Genji, Doomfist, Hanzo, and more of the most popular heroes. Funko said the OW line would be released in the fall.